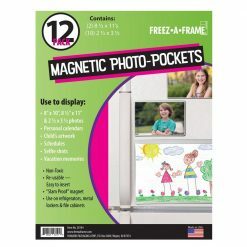 Includes: Two 5" x 7" Magnetic Frames. 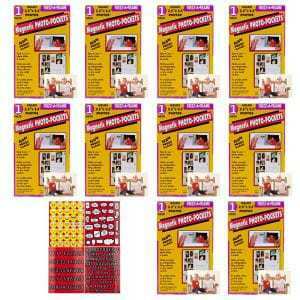 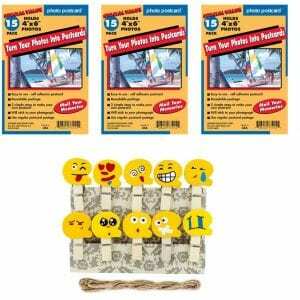 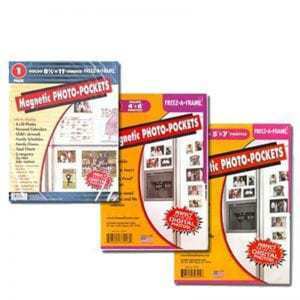 Photos slide into flexible clear plastic holders easily. 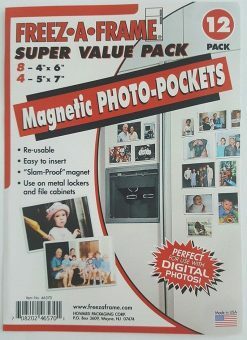 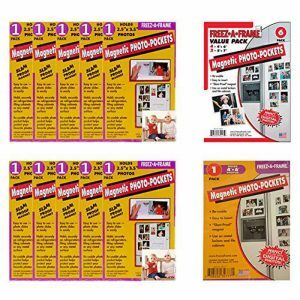 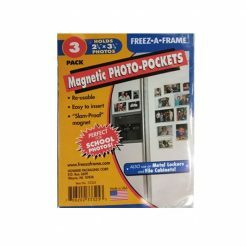 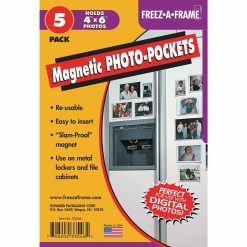 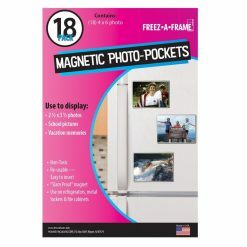 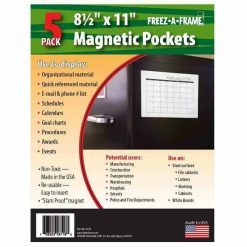 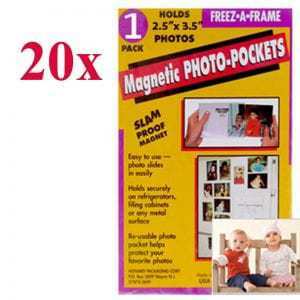 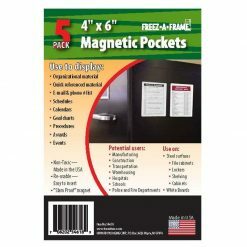 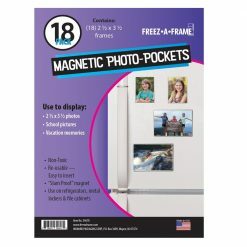 Securely holds vertical or horizontal photos on refrigerators or any metal surface. 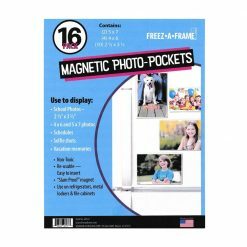 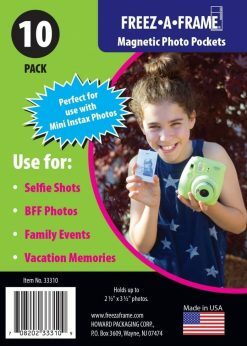 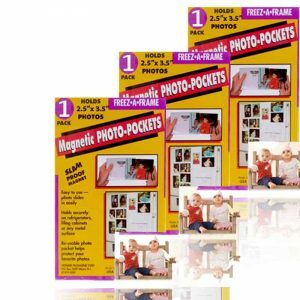 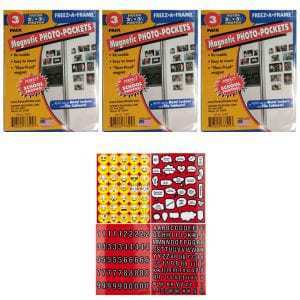 Extremely durable - clear pocket protects photo. 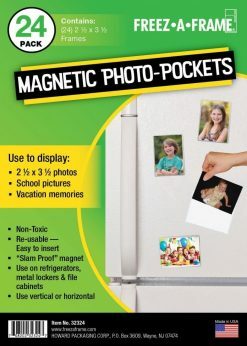 Slam Proof - Holds securely to most metal surfaces. 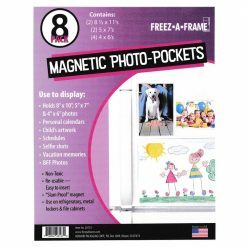 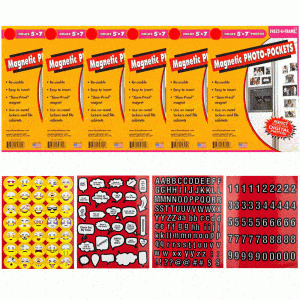 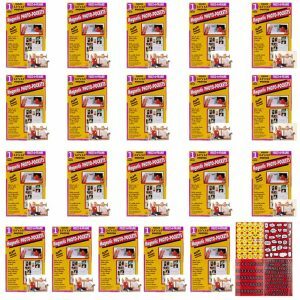 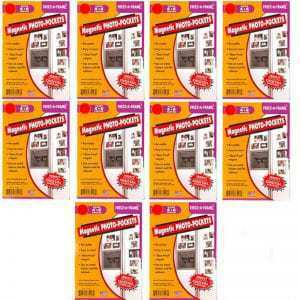 Includes: (8)Eight 4" x 6" & (4)Four 5" x 7" Magnetic Frames.